LITTLETON, Colorado – May 14, 2015 – In 2016, Avalon Waterways is inviting travelers to cruise into healthy living with two “special interest” departures for those passionate about exercise. One focuses on wellness and healthy living; the other provides golf enthusiasts the chance to swing their clubs along the Danube. On this wellness cruise, travelers will start their mornings with an exercise program on the Sky Deck (weather permitting), featuring stretching and yoga. They can also attend healthy lifestyle lectures by an onboard expert as well as enjoy healthy (and delicious) dining options. European Splendor – July 16, 2016 departure. 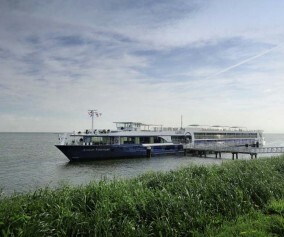 Travelers don’t need to put their golf game on hold when cruising the Danube. Instead, this special golf-themed departure is a “must” for golf enthusiasts at all levels. A local golf expert will join travelers on board and will arrange tee times at three select courses throughout the journey. 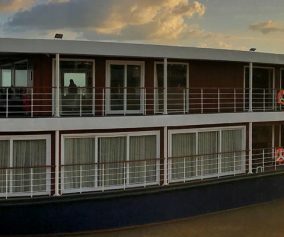 Danube Symphony – August 20, 2016 departure. BIG SAVINGS ON “SPECIAL INTEREST” CRUISES: Those booking a 2016 cruise early can SAVE 15% on all France river cruises OR SAVE 10% on all 2016 Europe cruises. For details, click here. And on the spectacular ships of Avalon, “included” is one of our favorite words. Spacious outside staterooms with plenty of room to relax – included. Special touches like regional wines and beer at every onboard dinner – included. Complimentary Wi-Fi – included. The most shore excursions, led by Certified Local Guides – included. VIP entrance into must-see sites – included. Unique Local FavoritesSM designed to bring your destination to life – included. In addition to everything that is included, we also give you the freedom of Avalon Choice® – a different approach to river cruising that invites travelers to personalize their trip. Whether you’re looking for a romantic mini-break, an in-depth 24-day exploration or something in between, with Avalon Waterways, you can choose the river cruise that reveals the very best of Europe, Asia or South America– your way! 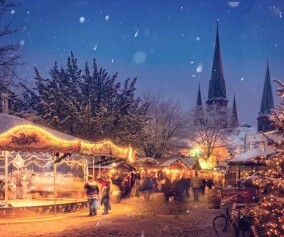 Consumers can book an Avalon Waterways vacation or request brochures by visiting a preferred travel agent or by calling the following toll free number: 1.877.380.1535. 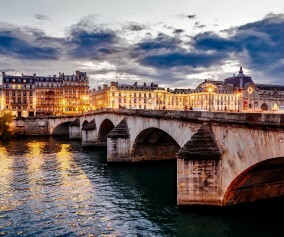 For more information, please visit www.avalonwaterways.com. Travel agents can request Avalon Waterways brochures by calling toll free 1.800.221.0090 or visiting www.globusfamilypartner.com.